Director Peter Jackson has kindly informed us that our beloved hobbit Bilbo Baggins played by Martin Freeman has finished filming his The Hobbit scenes for pick-up. 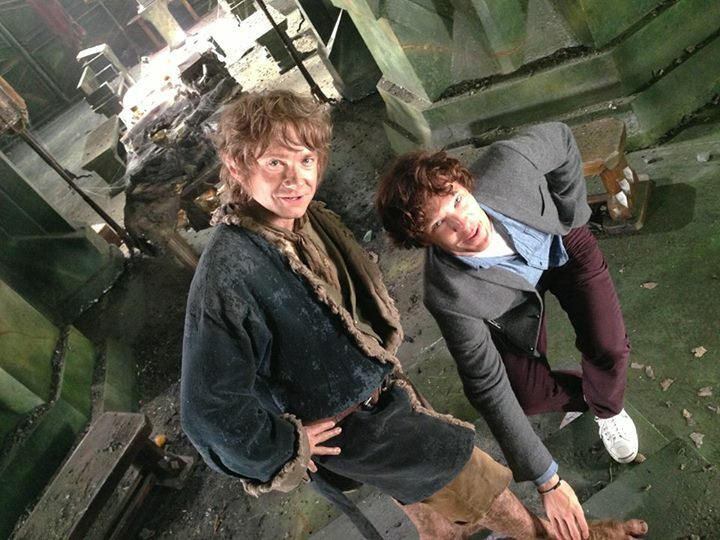 And accompanying this announcement are two separately posted pictures featuring a still quirky Freeman behind the camera and yet another of him playing around with the actor who will portray Smaug and the Necromancer, Benedict Cumberbatch. Checkout this new images from The Hobbit: The Desolation of Smaug set. And here is teh message from director Peter jackson himself. 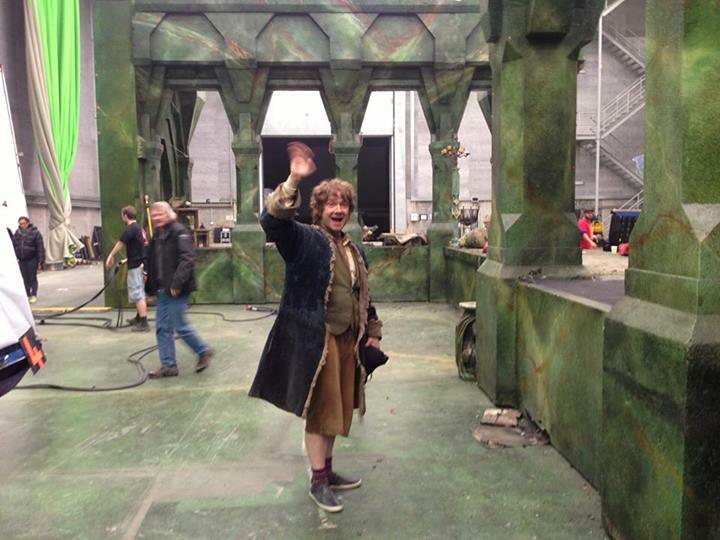 Tonight Martin Freeman finished his last shot as Bilbo Baggins. The end of an incredible two and a half years. I cannot imagine anyone else in this role - a character that Martin has nurtured and crafted with love and great skill. We have said goodbye to our elves, humans, wizards and now the hobbit. We now enter our final 2 weeks of pick-ups, and it's wall to wall dwarves. These pick-ups have been gruelling and intense, but I'm so happy with what we've been shooting. These next two movies are going to be pretty great! The Hobbit: The Desolation of Smaug adventure begins on December 13, 2013.